The warm weather brings the spring racing season with it and it’s our favourite time of the fashion calendar. We love seeing the fashions from Australian style icons at Flemington Race Course and watching how they translate on the local fields by the Perth beauties. Forever New has paved the way this season with the launch their new spring racing collection including statement silhouettes, ethereal prints, luxurious lace and structured satin, guaranteed to turn heads for all the right reasons. 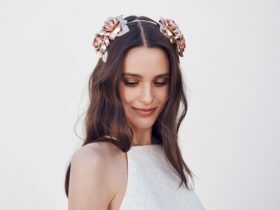 From Forever New’s trademarked florals to some more modern monochromatic pieces, Forever New has something for every spring racing goer this season. Find your dream spring racing outfit at Forever New on Murray Street Mall here at 140. See how other’s are styling your favourite pieces on the Forever New Instagram. Now in its 19th year, Telstra Perth Fashion Festival is back this September showcasing local and international creative talents and designers. 140 and Telstra Perth Fashion Festival are joining forces to bring you the latest spring looks from Forever New. Think cerulean blue skies, soft blooms, subtle embroidery and spring racing. Watch the free runway show and receive a $20 gift voucher to spend after the show at 140’s Forever New Murray Street Mall store. Plus, spend $100 or more on the day and you will be treated by the SC Artistry team and our pop up Lash and Liner Bar. After the show DJ Skye Walker will be on the decks at 140. Come down the Mall and sit back, relax with a bite to eat or a drink with friends. Getting active is so much more fun when you are with friends. Cotton On are getting their fitness on with the new arrival of #SQUADSPIRIT. Get your squad together and have fun, doing what you love. A dance class, running club, yoga or maybe a boot camp. Get moving with your posse to give you a little extra motivation. Whatever the activity, Cotton On will have your squad dressed to the 9’s in the new activewear range. Shop #SQUADSPIRIT here. We would love to see all your squad shots so snap it and tag it using @cottonon, #squadspirit, #140perth and @140perth. Easter is just around the corner and what better way to celebrate with family and friends than indulging in a sweet treat or two? This easter, Koko Black encourages you to explore their Easter Expeditions Collection, so pack an open mind, an empty stomach and a desire for adventure. 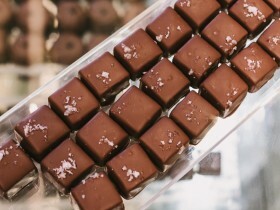 The new range features limited edition chocolate gift boxes starring artwork by Viv Miller, speckled quail eggs filled with hazelnut praline, Hot Cross Bites and all the Easter classics. To view the Easter Expedition Collection click here. Open from 9.00am Monday to Saturday and 10.30am Sundays, Koko Black is located on the corner of William St and Mitchell Lane, between Jamie’s Italian and The Aviary. They have kept their finger on the pulse of emerging denim trends, pulling directional looks from the latest catwalks and street style. Forever New’s new denim collection, lovingly created by the team from concept to sketches and samples to stores, tells the story of just what it takes to create truly covetable jeans. 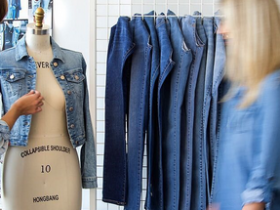 Take a peek at the creative process behind the scenes at Forever New HQ, as their denim experts show you exactly what’s behind the blues. Find your fit and name your style with Forever New’s Autumn/Winter denim collection. Forever New is located on Murray Street Mall between The Coffee Club and Cotton On, here at 140 Perth. 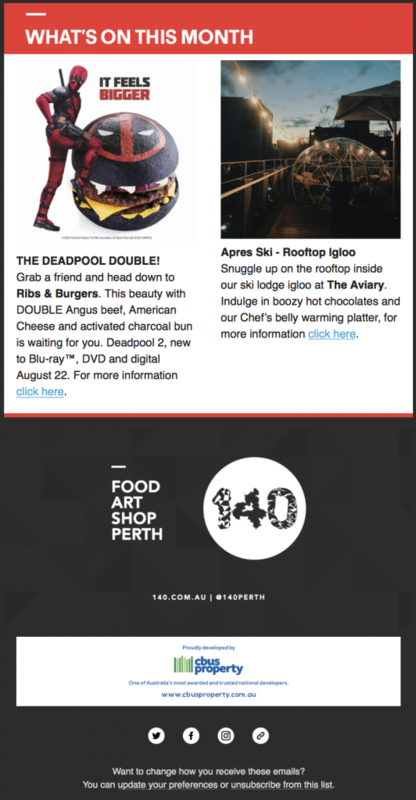 We are excited to announce 140 Perth and iconic Australian artist Anya Brock have joined forces for the month of February. From Monday 8th February this limited edition tea towel will be available. 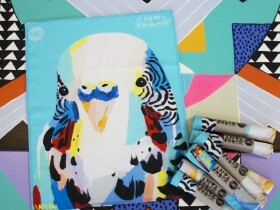 Best known for her signature bold hues and distinctive geometric composition, Anya Brock and 140 have created a limited edition tea towel for our 140 visitors. Celebrate the festive season and the gift of giving with our fashion, lifestyle and technology stores here at 140, which are sure to spark inspiration for a perfect gift for family and friends this Christmas. From the handcrafted Festive Collection by Koko Black, on trend round towels from Cotton On, the Spirited Collection by Swarovski and Miranda Kerr, iPhone accessories from iWorkshop or the new season styles from Forever New, 140 is the one stop shopping destination this holiday season. To see what our retail stores have to offer, click the retailers above or see below for a gallery we have put together to inspire you.